MLS has just released this review of the 2017 kits. It's a pretty good-looking league. 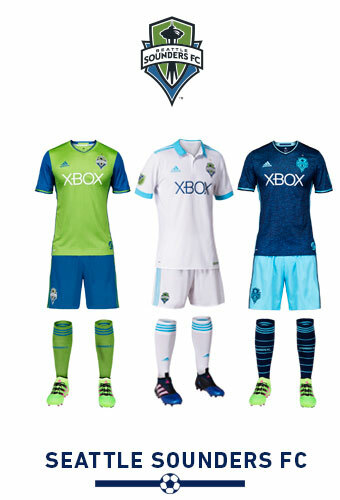 Can't help but notice that the Seattle Sounders are the only ones with a third kit. The league has been looking to phase those out for some time, but we have one holdout. Atlanta has a very sharp inaugural look. I love that the neither kit features any white at all (that change kit is a very light gray). 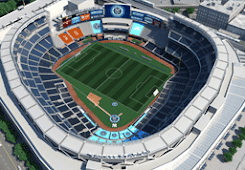 But man, MetroStars fans ought to be outraged; that's the look they've been trying to get the Red Bulls to adopt for years. 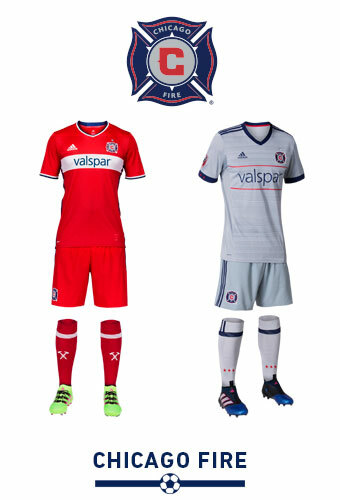 Chicago also went gray for their change kit, in this case the slightly darker gray from their logo. And it's a gorgeous logo; as solid as any in the league, but I don't think they've ever had a kit to match it. Colorado has only the most tenuous connection to Arsenal these days, choosing not to play up their shared ownership. 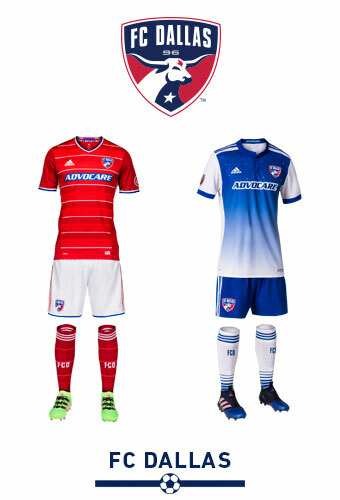 So it's therefore a little ironic that their kits are more than a little reminiscent. 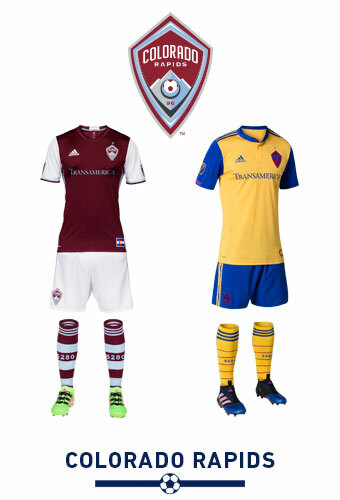 In the Rapids' case, the change colors come from the Colorado flag, and it's become very popular there. 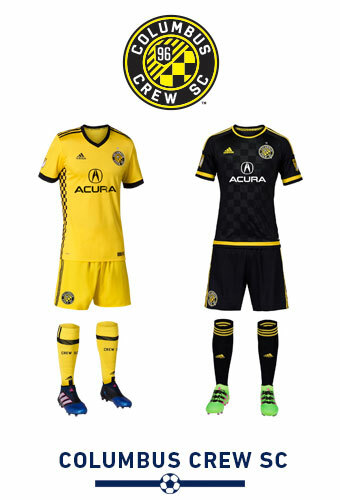 Columbus returns to yellow at home, and there's just something so right about that. With a color scheme like this, they have no excuse for ever wearing white. Dallas really needs to go back to the hoops. 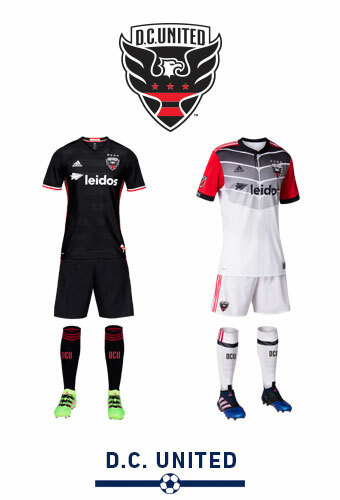 I'm very jealous of DC United; they have a great new badge, a solid color scheme, and just broke ground on a soccer-specific stadium in the District. Good fans, and I'm thrilled for them. 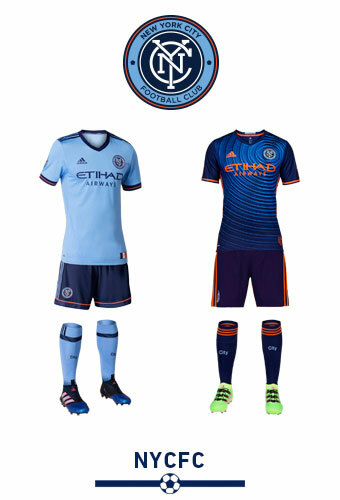 The new change kit is a bit wonky, but they're working the "classic primaries, crazy clash" thing NYCFC has embraced. 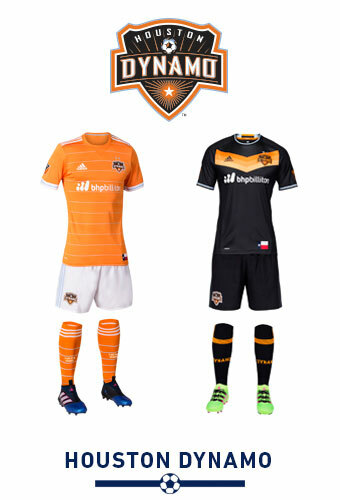 I love the tangerine-orange of the Dynamo, a unique color that they own in the sport. 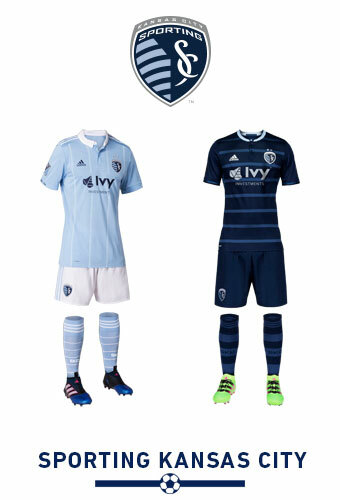 We appear to have changed color schemes with Kansas City; theirs is now slate blue with white, and ours is now sky blue with navy. I think we got the better of that deal. 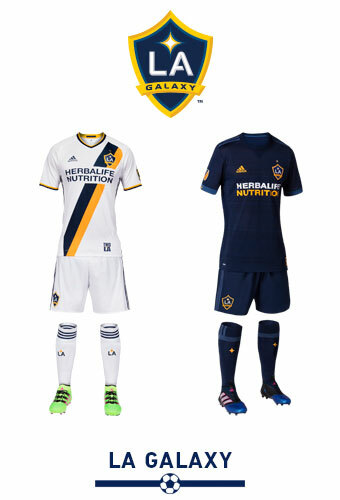 The Galaxy's change kit is solid enough, I like the tone-on-tone Adidas stripes. It'll hardly ever be worn; they choose the whites as often as possible, which will provide a solid contrast when the black-clad LAFC join the league next year. Minnesota has a great color scheme, a unique sponsor, and solid kits. A welcome addition to MLS, and one who will be wearing gray long after it stops being popular for clash kits. 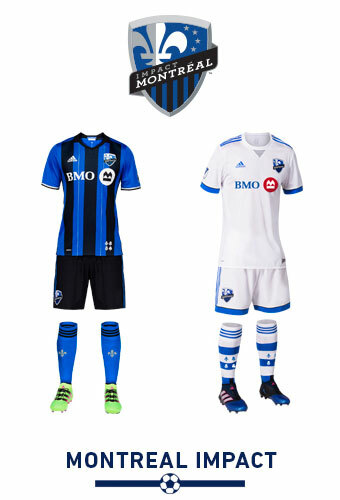 Montreal's black-and-blue stripes are more effective without the silver muddying them up. I hope they keep the stripes when this shirt's time is up. Love the socks on the clash kit. New England is still dragging down the league with their oh-so-1990s badge. But the new change kit is solid; I like asymmetrical designs. 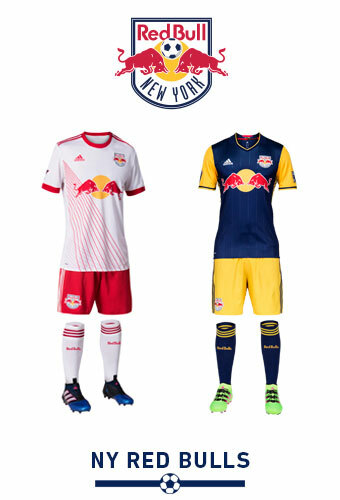 The Red Bulls are sticking with their basic color scheme, but the less-red home whites are a pretty significant step backwards. Orlando, like Houston, benefits from owning a bold and dynamic color. 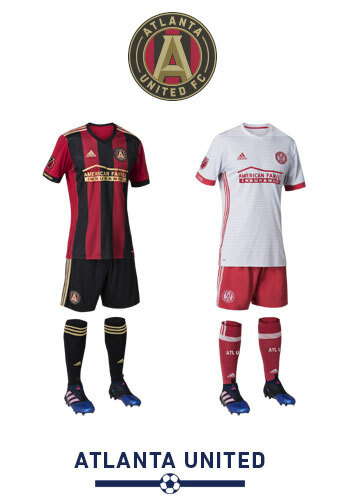 The gold stripes are a great contrast; wonder what it would look like if the sponsor logo and details were gold like Atlanta's. I think it would be even more powerful if the only white was on the badge. Ah, Philly. Still hate the sponsor logo - seriously, can't they use a monochromatic version, or a version in team colors? 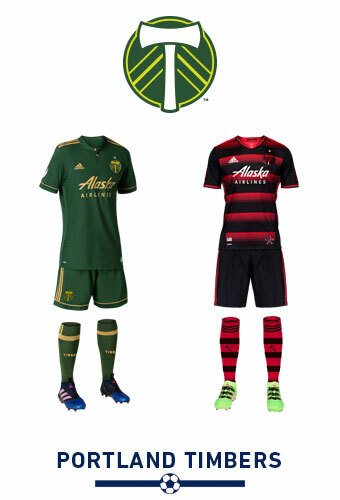 Portland is now one of the best-looking clubs in the sport. Their solid-greens are outstanding, and I love that they've recolored the badge to match. 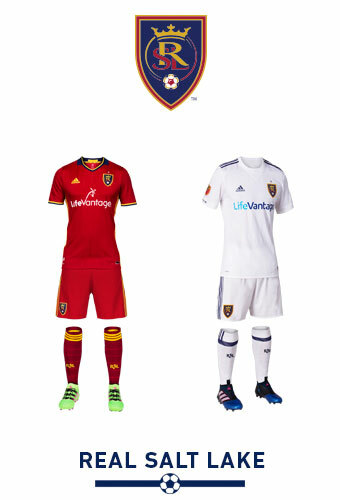 Shame their still using their now-outdated MLS badge on the sleeves, the only white and bright yellow left. There's a joke in there about a Utah team having boring uniforms, but I'm too lazy to make it. Still trying to figure out why (or how) Seattle is hanging on to their third kit. 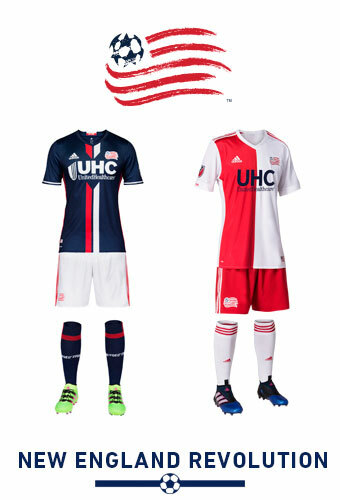 The new clash is all-white and highly influenced by an old NASL uniform. I like the brighter blue, that might be worth keeping even after this cycle. 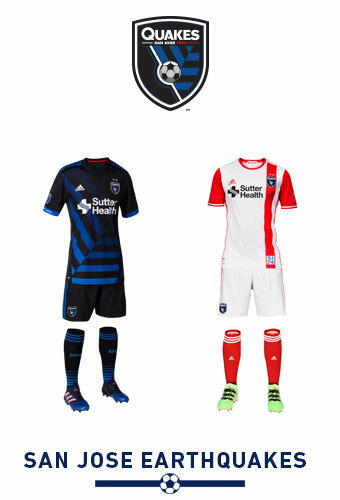 San Jose used to say that they would be a primarily-blue team. Shame; although I like the fractured-chevron design. 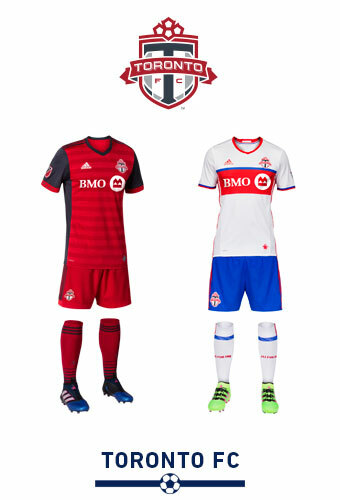 Toronto plays up its red and dark gray color scheme with obsidian sleeves and side panels. I like the gray Adidas stripes, so much better than a jarring white. 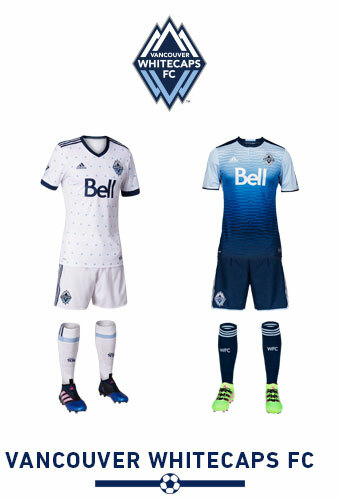 Vancouver's new home whites are now punctuated with small blue triangles. They're supposed to represent rain or some such but have been widely derided as resembling pajamas. I think they're better than the gradients of the clash kit. And there you have it. MLS will continue to be a very good-looking league in 2017.